Enabling a culture shift can be a fairly straight-forward process. You don’t even need to download my e-book for $9.99. You can have it here, for free. Start from outcomes. Directionally, where and how do you need your culture to shift? What do they need to do tomorrow that is tangibly different from what they are doing today? Engage them collaboratively, continuously. People change – all the time, every day – and not just their socks! People change – they just dislike BEING CHANGED. So engage them collaboratively in the culture shift. Set the givens. A culture shift is a change in the rules. What’s the rule, what’s the change? Communicate, communicate, communicate – what are the new givens, what are the new rules? Now what? Now you wait – and watch – with great curiosity. The Wills – tell them the new rule(s), then get out of their way! They “will” adopt the change – they WANT the shift. You have to find them, enable them, celebrate their successes. Learn from them; don’t control them. The Woulds – they might be Wills, they might be Won’ts – they don’t know yet. They would if they could…but they don’t know. They don’t have the resources – and the resource, primarily, is the courage to become a Will. You have to communicate compelling value to them – because it is here that your culture shift will live or die. You have to demonstrate that it IS possible, that it DOES work, and tell them the success stories of the Wills. When they find the courage, they will make the shift. The Won’ts. They either don’t want the change, or don’t care about the change. Whatever it is – they won’t engage – or they will resist – passively or aggressively. You can ignore them. No, really. You can ignore them. You could try to figure out why they are so stubborn, but the time is much better spent with the Woulds. And the Woulds, let’s face it, are a lot more fun to hang with. 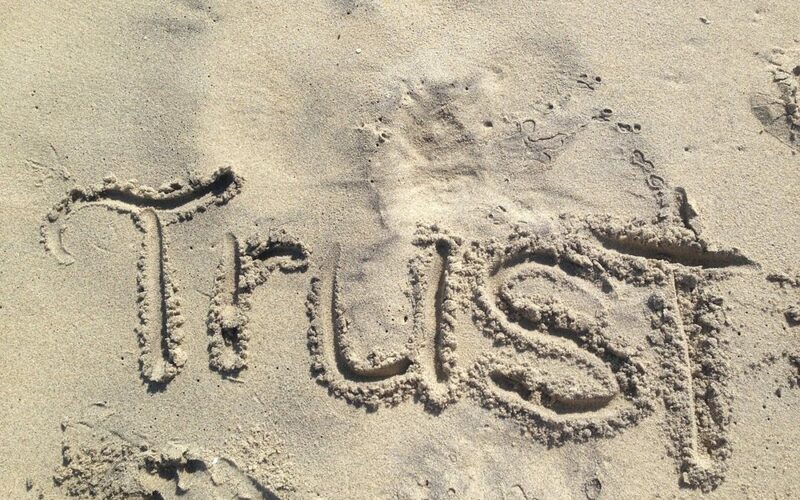 Cultural shifts require the existence of situational trust. I often demonstrate situational trust with the Playground Story. If a neighbour and I show up at a community meeting to discuss building a safer playground for our children, I can likely come to situationally trust of him, in regard to building a safer playground, in relatively short order. Would I trust him with my bank account, my wife or my jetski? Different question entirely – but in regards to the playground, we can get to a place of situational trust. The same thing has to happen with your stakeholder community – you need to be working in service of their preferred future state, and be offering outcomes that improve that future state. To the extent they can see that, you will get situational trust, and a culture shift can start to occur. The Wills get it – and as soon as you let them, they will run with it. They gave up on the square blocks years ago and have been rolling around on octagons. When your smooth circular wheels show up, they’re in like Flynn. Whoever Flynn is. But they get it, they adopt it. The Woulds – they need the story. They need the compelling value proposition. And they need to feel more comfortable – more competent – than they do right now. So find your Wills – tell their stories to the Woulds. Communicate what you need to communicate so that the Woulds get the sense that they CAN. Every Would who becomes a Will – that’s your culture, starting to shift. And as your Woulds realize that they CAN, and start to do…then your Won’ts (some of them) will hear a rumbling sound off in the distance, and will realize they they too Could…and start shifting into Woulds.